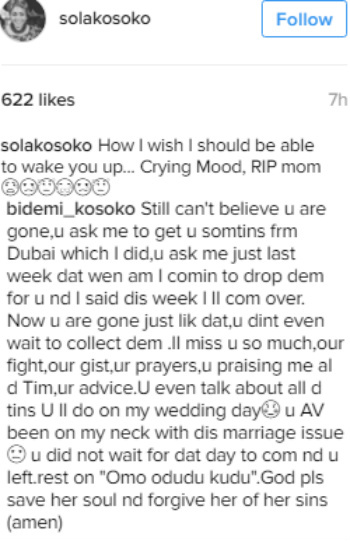 Nollywood actor Jide Kosoko’s children Sola and Bidemi Kosoko took to the social media few hours ago to pay tribute to their step mother, Henrietta who lost her battle to ‘diabetes’ yesterday at the age of 53. May her soul rest on. All I av to say is that it is well. Rip henrietta, cos I’m just short of words right now. I am pained right now. I keep hoping this is but a dream. Oh no! Rip Henrietta. This is just so sad, may her soul rest in peace. May her soul find eternal rest in the Lord. 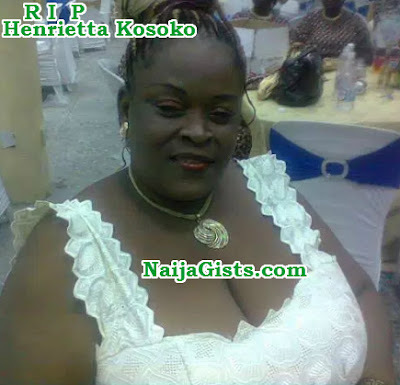 Good night Henrietta Kosoko. HENRIETTA , UR GOODNESS TO TO STEP-CHILDREN WILL SURELY MAKE YOU REST IN PERFWCT PEACE IJN .BLESSED ARE D MOURNERS 4 THEY SHALL BE COMFORTED . May your soul rest in the bosom of God.